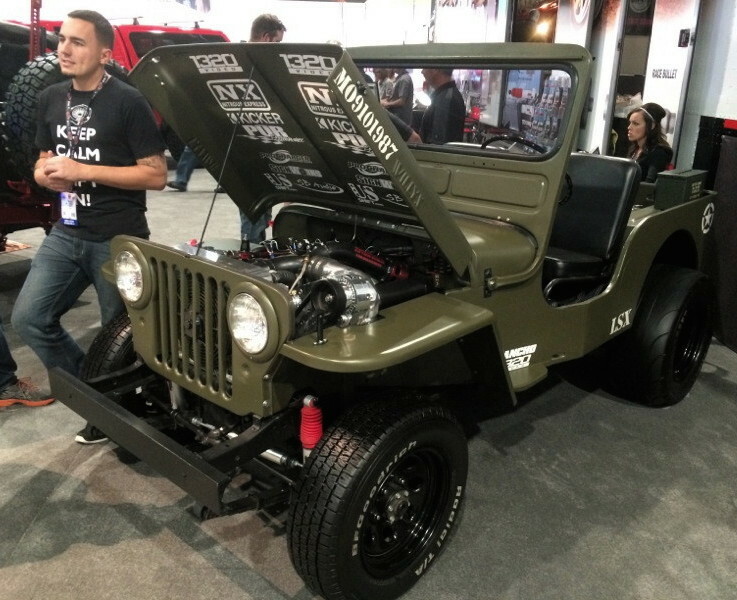 JPFreek spent last week at the SEMA Show 2014 to bring you the coolest new Jeep gear and news from the biggest automotive aftermarket show on the planet. Hopefully you followed along on Facebook, Instagram and Twitter as we reported in during the week. JPFreek’s upcoming November issue of the digital magazine will have our full SEMA coverage, but we had to share the best of the best. 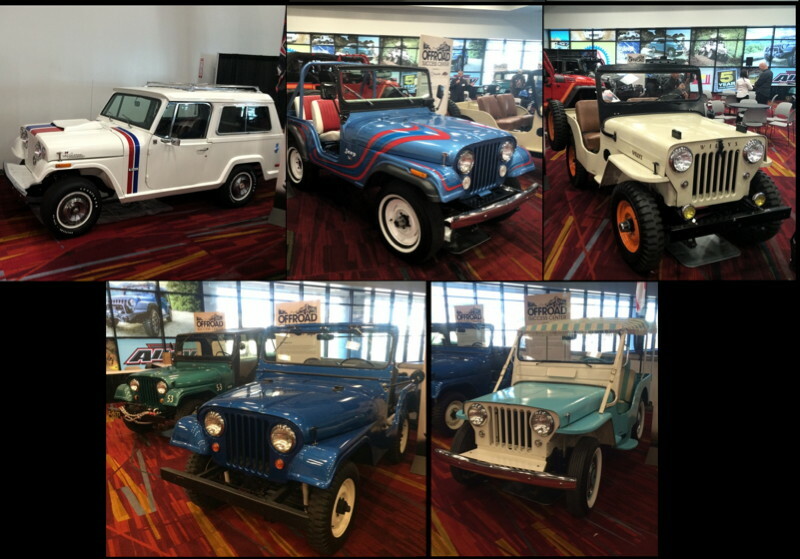 We didn’t just go to the show for a day and take pictures of the first few cool Jeeps we saw, we walked theentire show – all two million square feet or so of it – to find the cream of the crop. Clearly, this is subjective, so we lean toward smart, clean Jeeps that are purpose-built and well-executed. 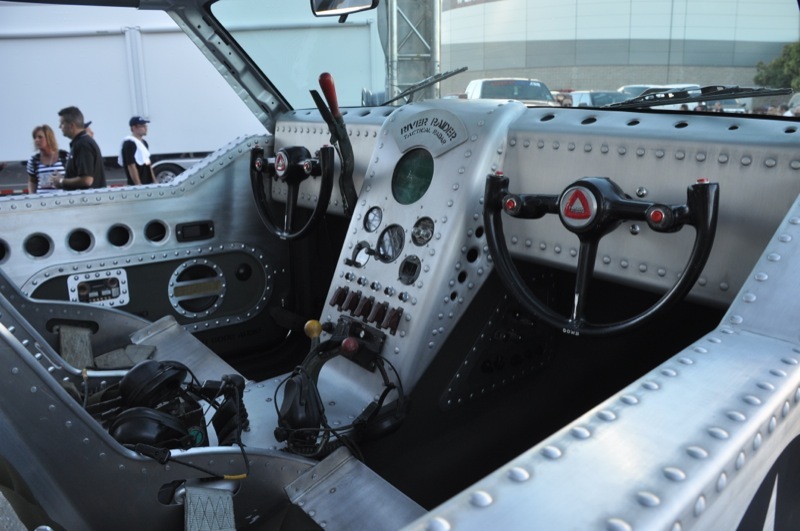 We also give bonus points to anything that preserves the history of the Jeep brand or honors our armed forces. No doubt that we will catch all kinds of flak for this, but that’s fine. While we saw the Renegade earlier this summer being tested and filmed at the Silver Lake Sand Dunes, SEMA was the first chance we had to get into one and we were impressed. Not with the color scheme of either of the Renegades in the Jeep booth, both hurt our eyes, but we were floored with the usable space, headroom and legroom in these little Jeeps. Like the Cherokee, we think that Jeep chose an unfortunate name that caused a lot of backlash while the actual vehicle has the Jeep brand poised to completely own another – very important – segment. 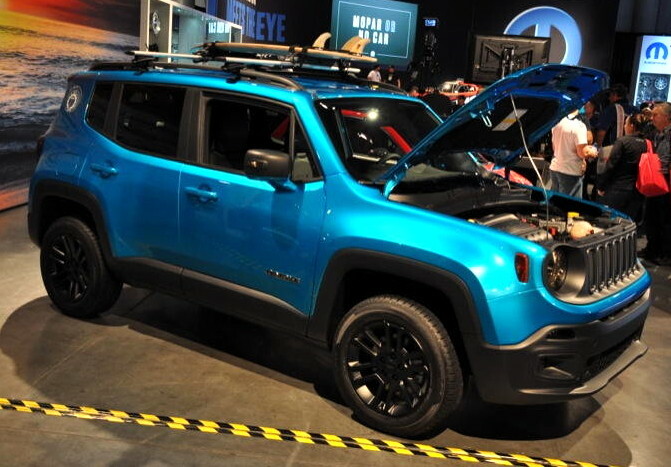 With the price of Wranglers heading rapidly towards $50k, Jeep needs the Renegade to bring in a new generation of Jeepers that are looking for new vehicle reliability and wouldn’t be interested in a years-old Wrangler that’s actually in their price range. 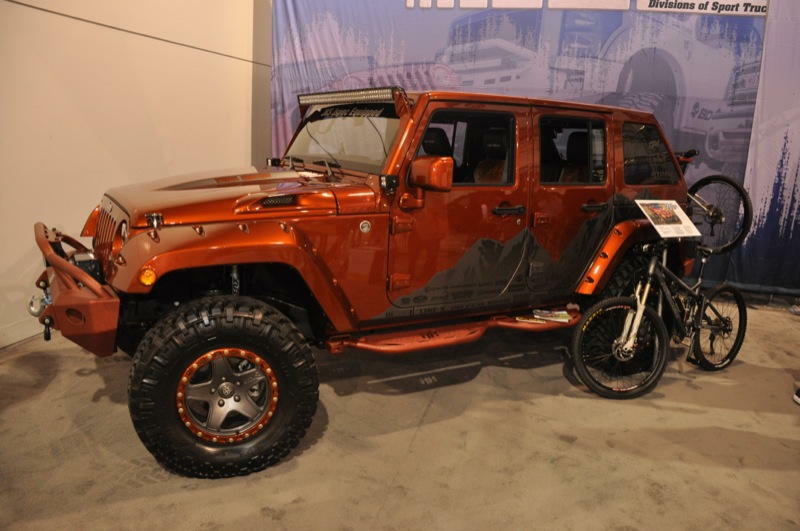 This all-purpose JK made the list primarily based on how it came to exist. With a theme of creating the ultimate mountain-biking weekend Jeep, the interwebs was asked to submit suggestions for the build on social media. 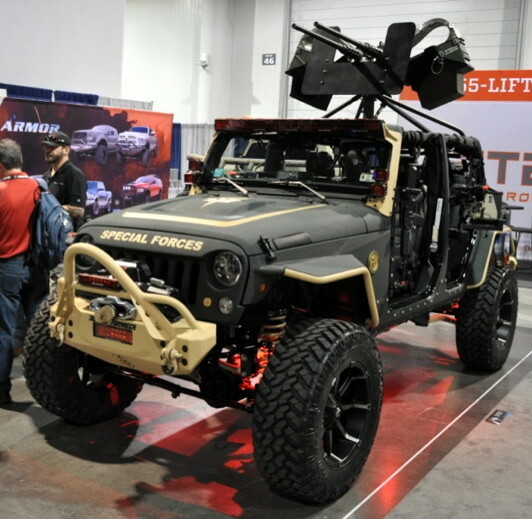 The approach could have resulted in a mishmash of parts, but the end result looks to be a well thought-out and functional Jeep that could drive anywhere and back. We’d love to take this (and the nice full-suspension bikes) out for a weekend. (edited by MB Quart) The Trail Seeker JK features several components of MB Quart mobile audio and powersports. Key among them is one of two Bluetooth Controllers from MB Quart which will allow any Bluetooth enabled device (a phone a tablet) to quickly bring that Bluetooth signal into an audio input. In the Trail Seeker JK Jeep there was no Bluetooth feature in the stock system, so the “wired” N1-WBT installed perfectly. Jeep even left a nice spot in the center of the dash to mount the unit. Continuing with the all-purpose Jeeps, the Magnaflow JK simply had smart modifications everywhere you looked. As you might expect from Magnaflow, the exhaust was run over the frame and out through the rear bumper, out of harm’s way. We noticed this immediately and it hooked us — we couldn’t stop checking this Jeep out. The slick removable spare tire mounting system in the rear with integrated can carriers, the amp rack, the LED mounts reusing the tailgate hinge holes… all of it had us drooling. Who wouldn’t want a brand-new Scrambler? We have to admit some bias here as we have a Scrambler in the JPFreek stable, but here again, we’re all about multi-purpose vehicles and this one from Legacy Classic Trucks pushes all the right buttons. Everyone dreams about that perfect build with the ideal list of parts and that’s what you’re looking at here. The price ($150,000 per their website) puts this in supercar territory, but everyone can dream, right? This one basically had us at “YJ”. Who builds a YJ to bring to SEMA? Ian Johnson of Xtreme Off-Road fame and custom builder does when he teams up with WD-40 to build something different from the norm… that’s going to be given away. 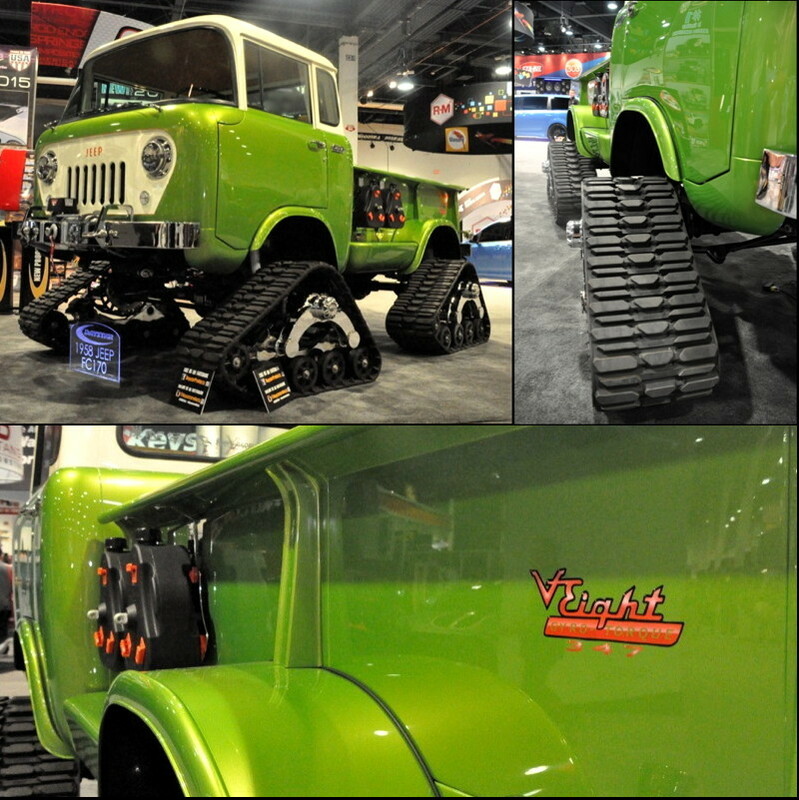 Early next year everyone will have a chance to win this rockcrawling, V8-powered, aluminum-tubbed YJ to beat on. With one of the sickest paint jobs (not a wrap, as many of the complicated graphic vehicles were sporting) at SEMA, a very clean Magnum Powers supercharger setup adding 100 HP/115 ft-lb at the wheels, a killer stereo, and lots of attention to detail in the interior, this TJ stood out in a sea of JKs. We would generally keep more usable space over a subwoofer box in the cargo area, but the level of work to make everything fit and look right had us in awe. 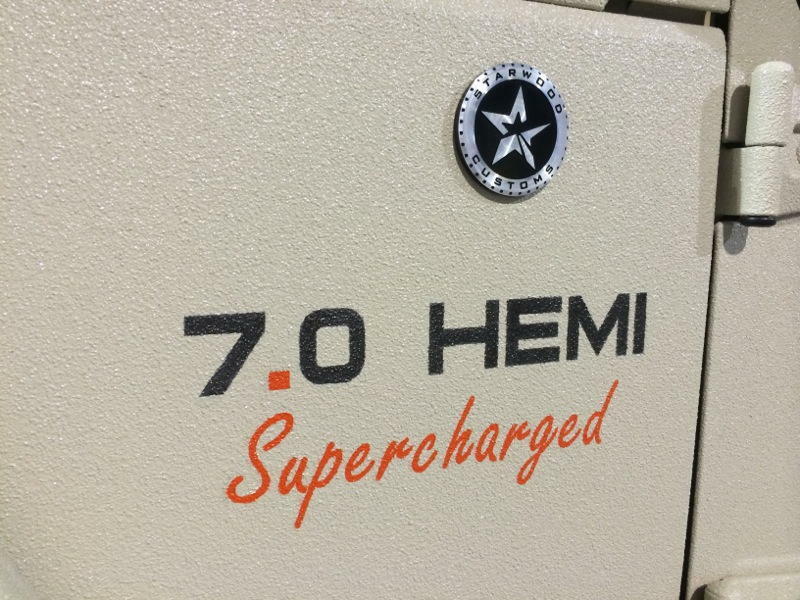 “7.0L Hemi Supercharged” is on the front fender – ’nuff said. CongratulationsStarwood Motors, you have our attention. Add one of the cleanest crew cab pickup conversions we’ve ever seen and coat the thing in Kevlar and you’re on our list. We’d make some stylistic changes over what was done to this specific example, but just take our money now please, m’kay? Thanks. Again, bias comes into play here. This build appeared before us in the Scorpion Coatings booth as if it materialized directly from our brain. We have had this build in our head for years and it was too cool to see it brought to life. We weren’t able to get specifics on the build, but that doesn’t keep it off our list. Not a JK – check. No crazy LED bars – check. LCG long-arm build – check. 46? tires on beadlocks – check. Sweet chopped windshield – check. 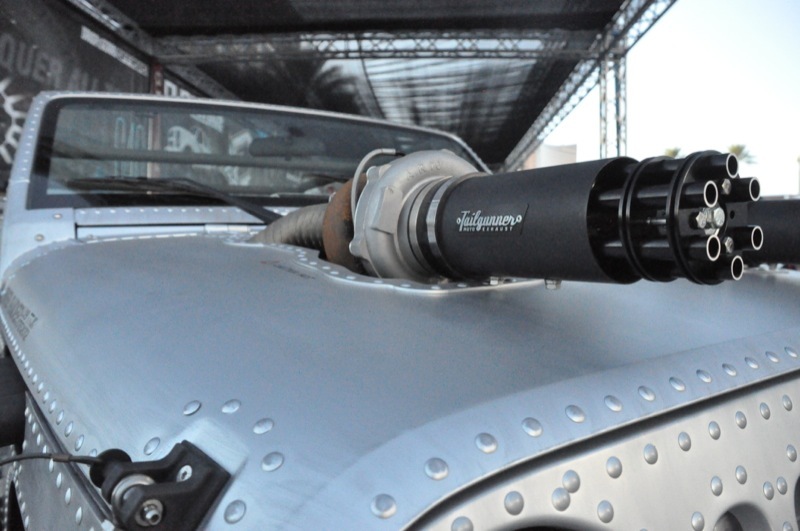 Supercharger – check. Welcome to our top 15 list Black Ops 4×4. 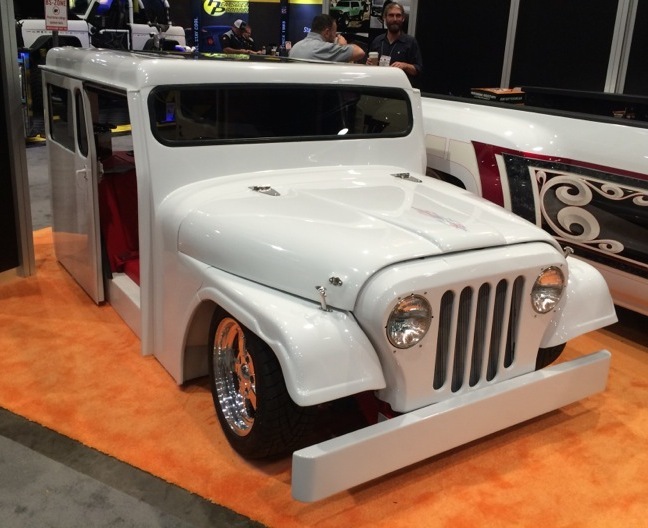 “Did you see the Fire Jeep?” was heard more than once at SEMA. 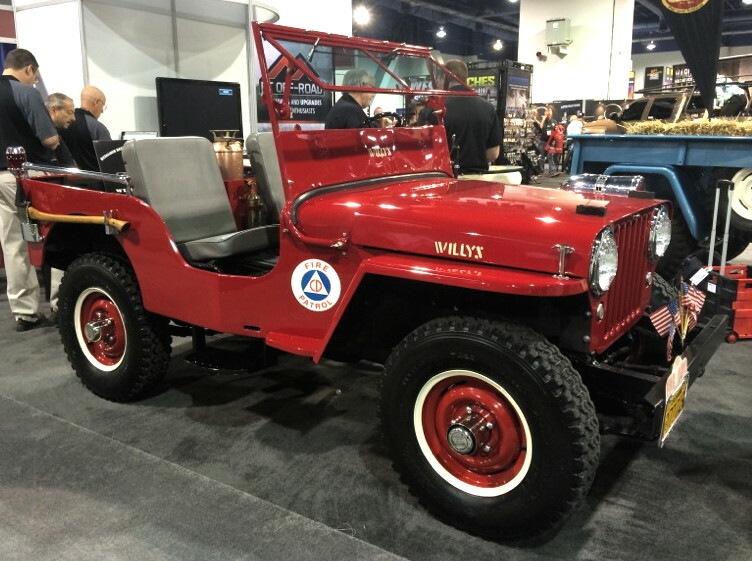 This fire department prepped ’47 -2A in the Crown Automotive booth was an absolute gem on the floor of the off-road hall. Amazing condition and and it stood out perfectly as the great grandaddy of all the JKs. 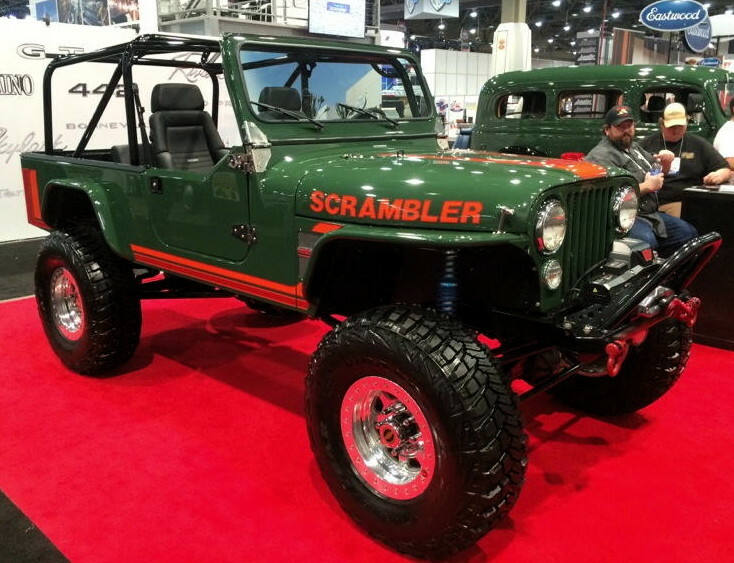 Cheating a bit here, because in their “Off-road Success Center” Omix-ADA/Rugged Ridge had an entire collection of preserved and restored Jeeps that would get any Jeep lover excited and we couldn’t pick just one: ’71 Hurst edition Commando, ’73 CJ-5 Super Jeep, ’64 CJ-3B, ’67 CJ-6, ’55 CJ-5, ’60 Surrey DJ-3A, ’82 CJ-7, and a ’48 CJ-2A. This is one that’s not for everyone. It’s clearly a theme Jeep and a showpiece, but the amount of work and level of craftsmanship put in by River Raider completely awed us. Those are real rivets, the body is handmade, the exhaust appeared functional through the side outlets (functional meaning that’s where the exhaust exited, we wouldn’t really want to drive much with that setup on a trail), the interior is extraordinary, and the overall theme is carried off perfectly. 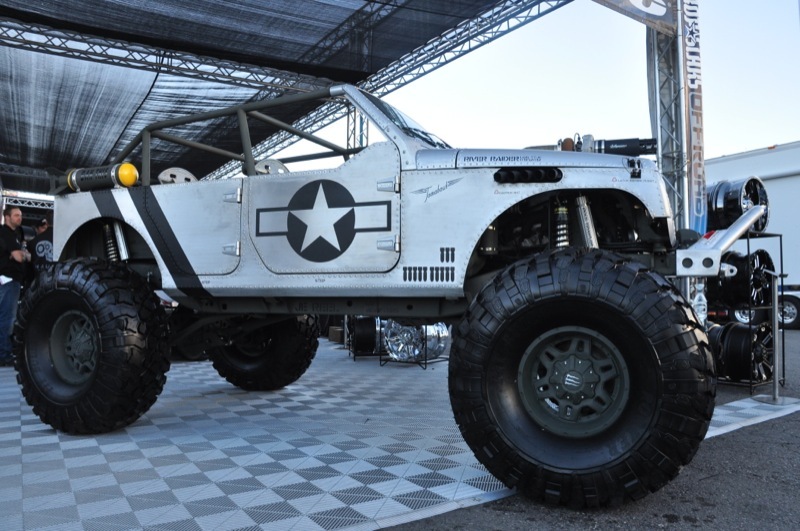 Without the backstory, this is just a cool, over-engined racing Jeep that wouldn’t be this high on our list. But add in the fact that this little flatfender has smacked down countless sports cars that had no idea what they were up against in this LSX-engined, boosted sleeper and the fact that many of its exploits are on YouTube for all to see and we were thrilled to finally get to see this beast in person in the Rancho booth. No surprise here to anyone who followed SEMA coverage, by us or by anyone. 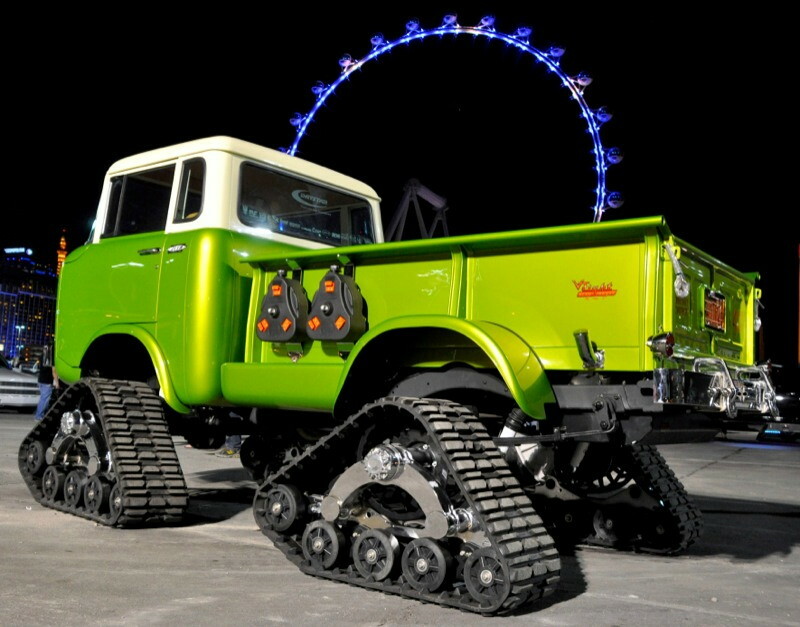 Daystar won SEMA with this immaculate Hemi-powered, tracked FC-170. The overall levels of awesome that hit you on first sight are just the start. With lots of more subtle modifications like the reworked, raised bed for better overall lines, the wood in the bed, the etched logos (not stickers) in the back glass, and the hand lettering on the graphics, you end up needing to spend a lot of time looking at this to fully appreciate it. We happened to be in the perfect location to get video of the FC as it rolled out of SEMA in the Cruise Out and found it yet again in the SEMA Ignited parking lot, with the High Roller observation wheel in the background.